AUSTRALIAN acting icon David Wenham is set to make an appearance on the Gold Coast for an exclusive Q&A screening and Queensland premiere of his film Ellipsis, in a special prelude to the upcoming Gold Coast Film Festival. At the event presented by the Asia Pacific Screen Awards (APSA) and Gold Coast Film Festival, the highly-acclaimed actor, writer, director and producer will share a screening of his directorial debut, followed by an interactive Q&A session with both David and executive producer Robert Connolly on Thursday, February 8 at 6.45pm at The Arts Centre Gold Coast. With an acting career spanning more than 30 years, David has appeared in both Australian and international films working with directors such as Jane Campion, Peter Jackson, Michael Manns, Paul Cox and Baz Luhrmann. He has received critical acclaim and numerous awards for his many performances in film, theatre and television and is regarded as one of Australia’s most respected actors. Most recently, David featured in the 2017 release Lion, alongside Nicole Kidman. Already receiving rave reviews and in competition at the 11th Asia Pacific Screen Awards, in which Wenham co-hosted, Ellipsis was devised as a one-off experiment, created and executed by David himself. The film was conceived, workshopped and shot all in 10 days with just two main cast and four on set crew. The actors were not given a written script or time to rehearse, instead they were free to work organically and spontaneously in real, working locations and situations. Ellipsis is about the random nature of life and human interaction and the small choices that can set our course. Tickets for the Q&A screening of Ellipsis with David Wenham are available to purchase from Friday, January 19 at www.gcfilmfestival.com/project/ellipsis. Tickets are $18 for adults and $15 for concessions. 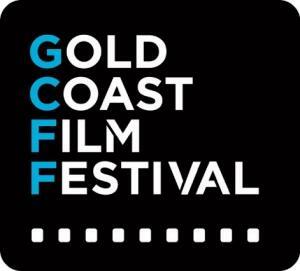 Co-presented by Gold Coast Film Festival.